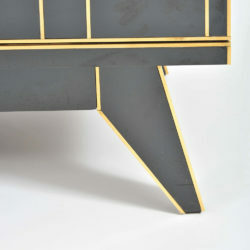 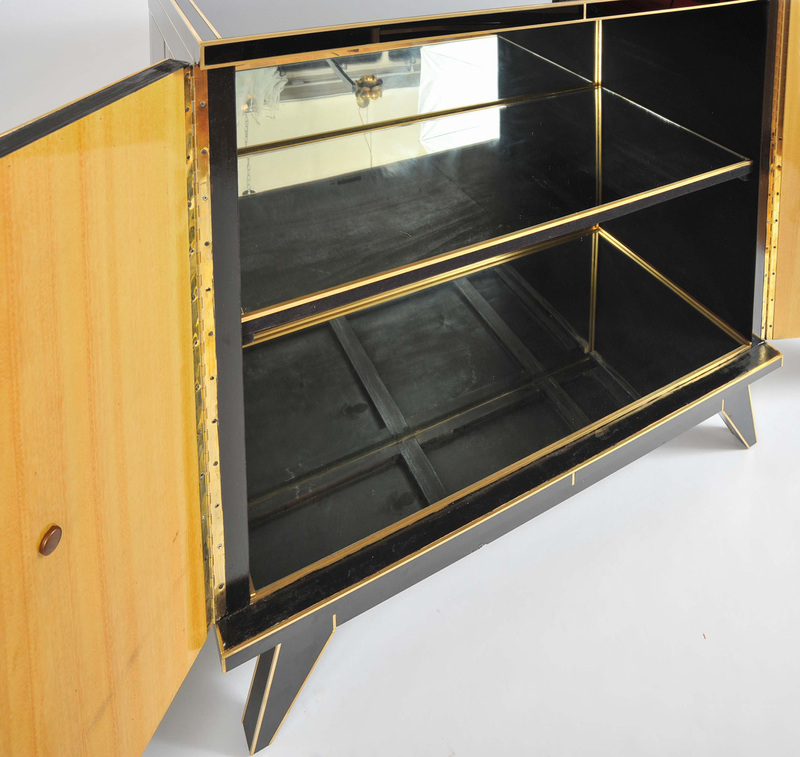 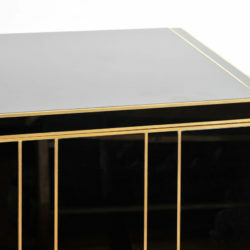 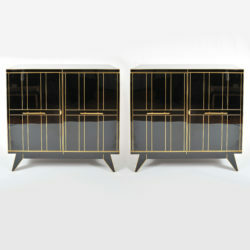 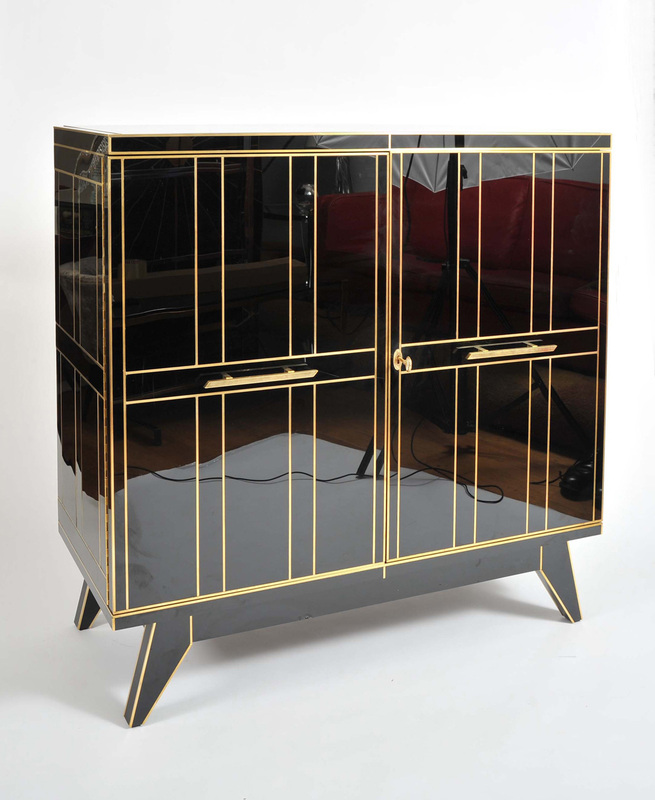 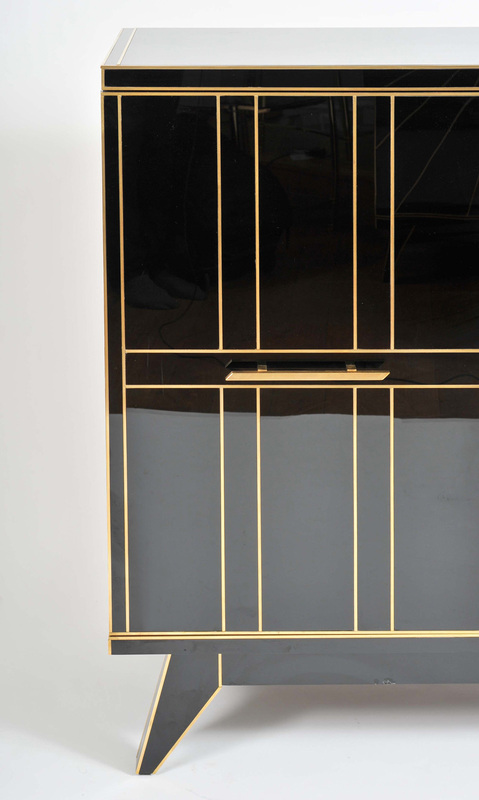 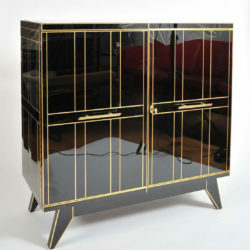 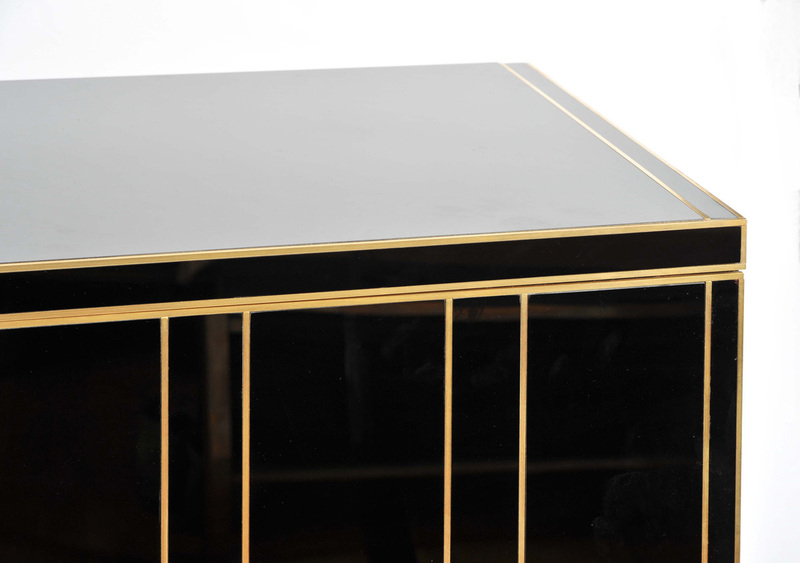 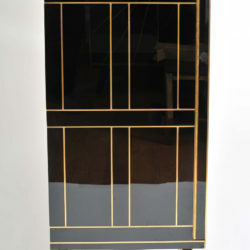 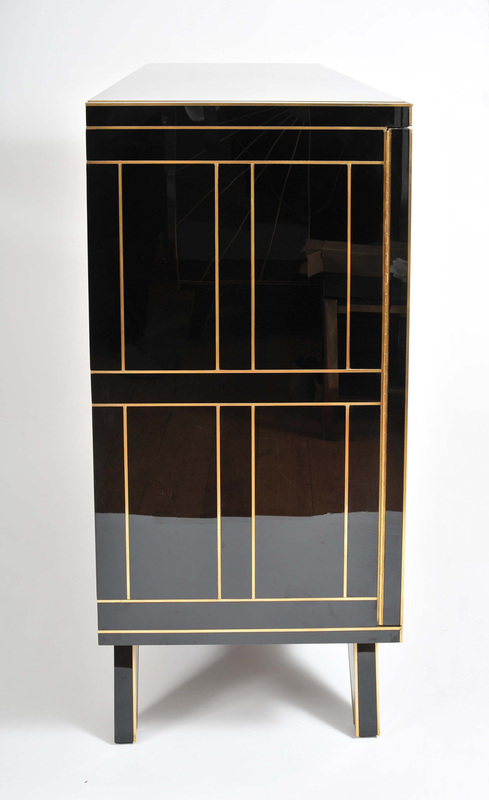 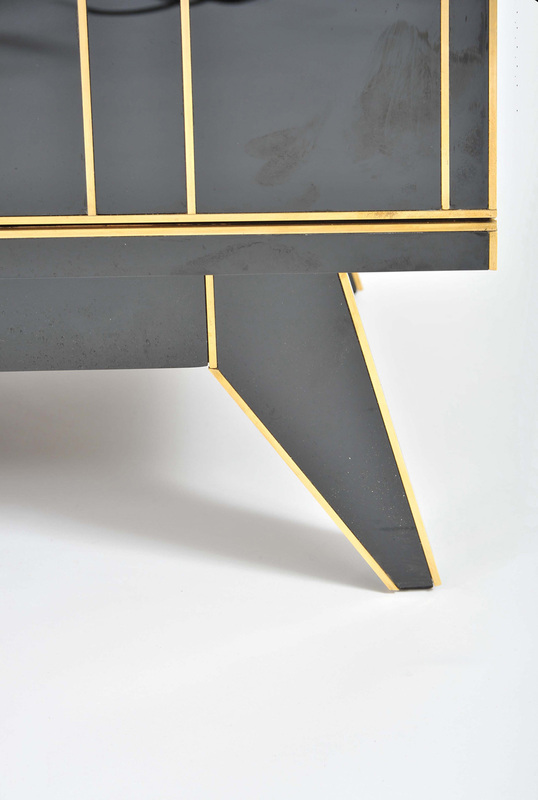 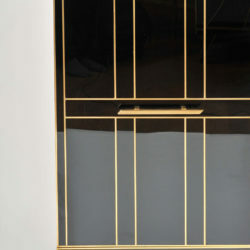 Pair of large black glass cabinets with simple brass trim throughout. 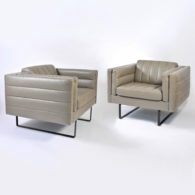 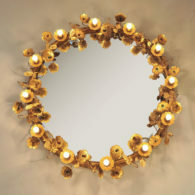 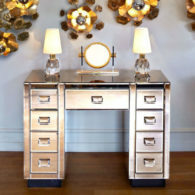 Tapered brasss and glass legs and brass handles. 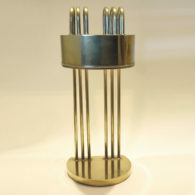 Original decorative keys. 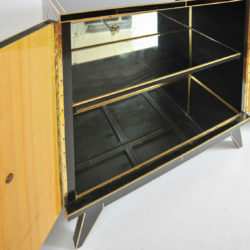 Each piece is finished off with silver mirror shelves and back panels.